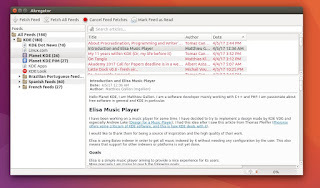 This article accompanies our big list of GNU/Linux & FLOSS RSS feeds so you can choose suitable reader for your desktop. Here I list Firefox, Thunderbird, Akregator, Liferea, Blam, and Evolution with some details of each. It's possible later for me to update this list, because there are still many other good readers. I hope you enjoy this! 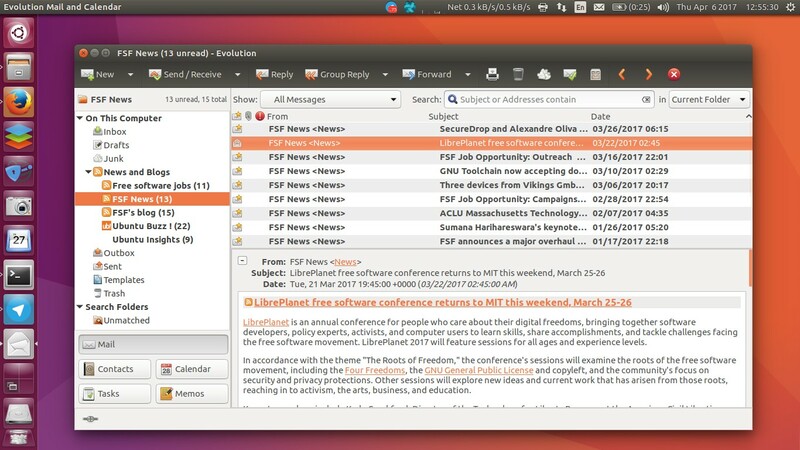 You might be surprised if Firefox has RSS reader ability. It's preinstalled, very simple to use, and united to the browser. You reach news feeds via Bookmarks Toolbar. To add new feed, visit a valid rss url > press Subscribe button. 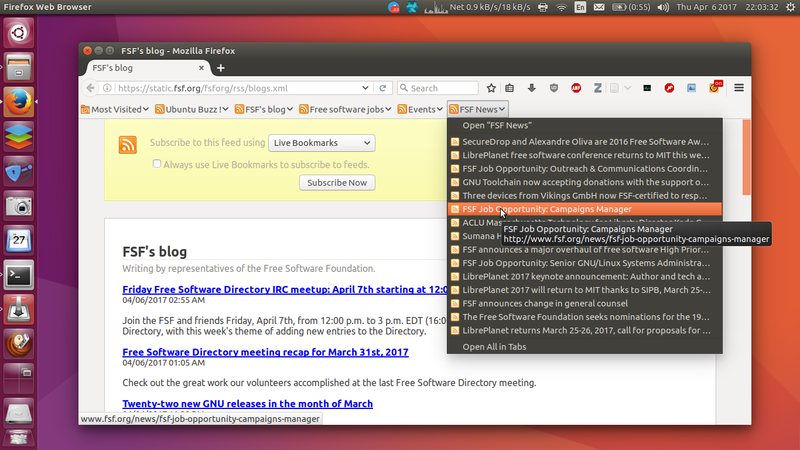 Notes: Firefox has many derivatives such as Debian Iceweasel, GNU Icecat, and so on and they're have RSS ability too. Thunderbird is a feature-rich mail client with RSS reader ability. 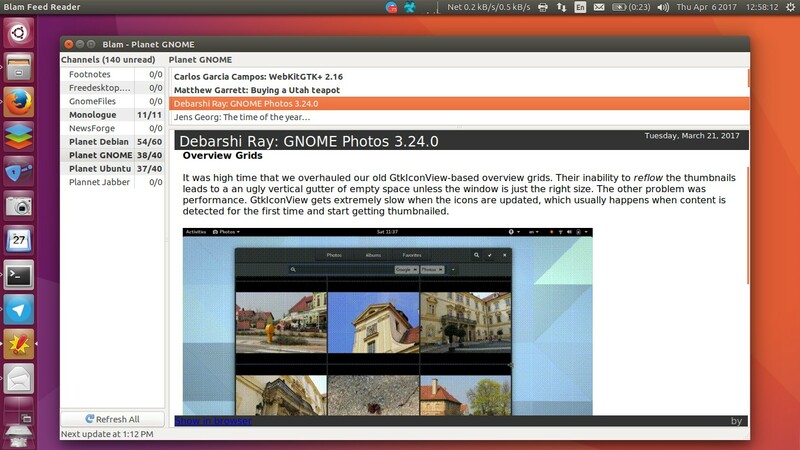 It's preinstalled on Ubuntu and more convenient as complete reader than Firefox. 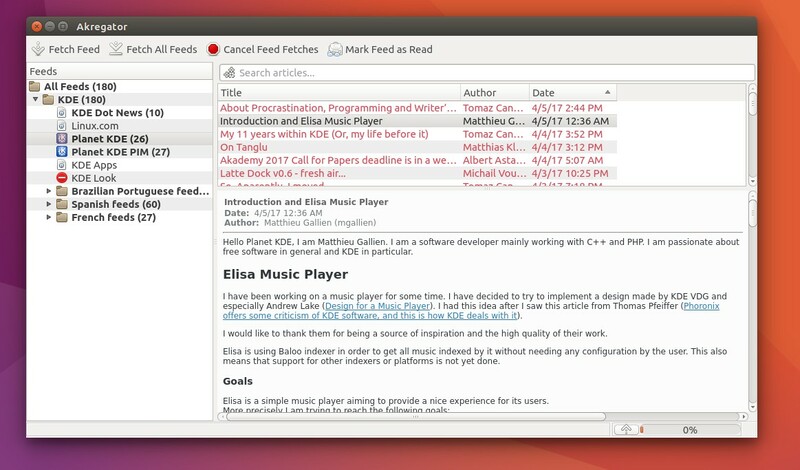 Liferea is a feature-rich desktop RSS reader for GNU/Linux. It works with RSS feeds and also can play podcasts directly. 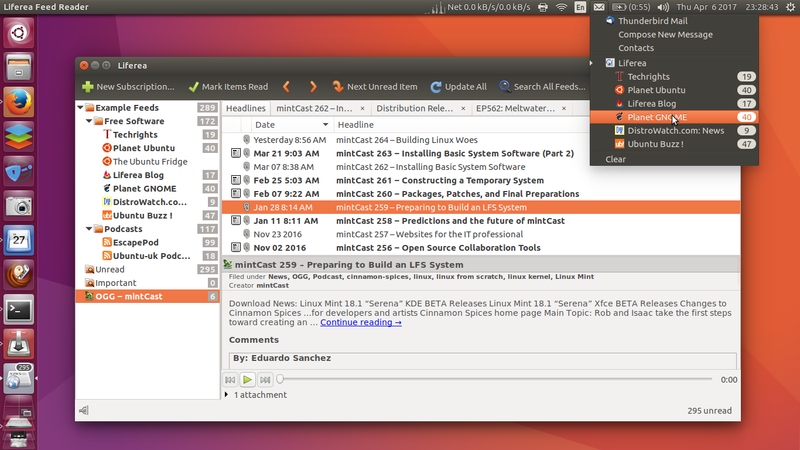 It's integrated with Unity desktop well (see picture). 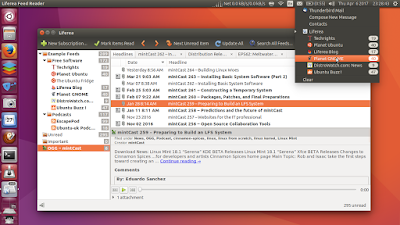 If you like GNU/Linux podcasts like mintCast or Linux Action Show, I recommend Liferea for you. Blam is the most minimalist stand-alone RSS reader here. It can do basic tasks such as importing OPML, reading feeds, but it can't store feeds (at version 1.8.9) so you should update from zero every time. If you want very simple RSS reader that just works, Blam is for you. 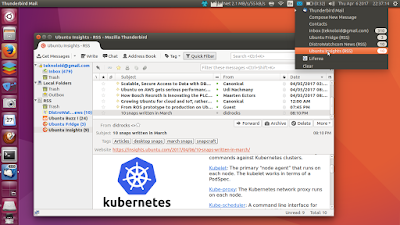 Evolution is a professional mail client just like Thunderbird. And as you can guess it has RSS reader ability too. 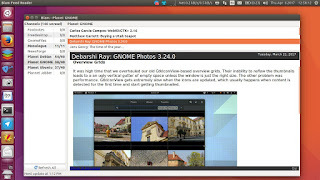 If you love GNOME, accustomed to Evolution in daily life, using its RSS plugin is recommended.